Whether you need a straight-forward concrete slab laid or are building the architect-designed dream house, our structural concrete services can take care of it. We're able to supply everything, including a concrete truck, state-of-the-art equipment, a concrete batching plant and personnel, anywhere in Queensland - from Mackay to Townsville to Cairns. Before getting started, we offer all clients a quote, free of cost and obligation. When it comes to concrete companies and concrete suppliers, we're a household name in Australia. We've earned our reputation through hard work, dedication and an unwavering focus on excellence. Each and every one of our jobs - be it concrete delivery or a concrete construction - comes with quality assurance. We're fully licensed and compliant with all legislation. Our team members are all highly-qualified, well-trained and extensively experienced. If you're looking for contractors to complete structural concrete work in a mining context, we have you covered, with both mine-specific equipment and mine-ticketed personnel. Safety is our main priority, followed by efficiency and productivity. We'll get your job done on time and on budget, while keeping stress and hassle to a minimum. Our reputation for integrity and client focus is known throughout Australia. From the moment you call our office, you can expect outstanding customer service. 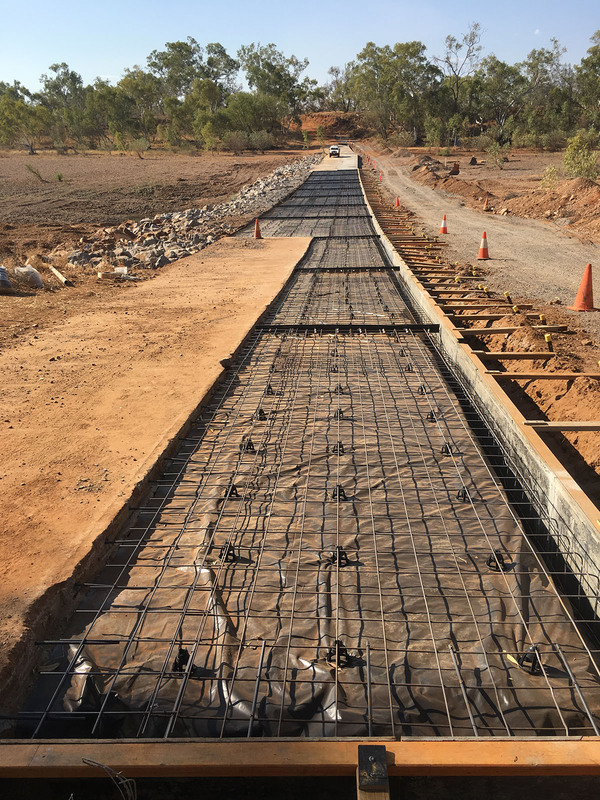 From our head office in Cloncurry, we provide concrete delivery and other concrete works throughout the state. Whether you're in Townsville, Mackay or Cairns, all you have to do is give us a buzz or drop us an email. We'll answer your queries and, upon request, give you an obligation-free quote. Enquire today if you'd like a quote at no cost and without any obligations. The number to call is (07) 4843 5832. We look forward to hearing from you.